Clayvin Vineyard was planted in 1991 and was the first ‘hillside’ vineyard to be cultivated in the beautiful Marlborough region at the top of the South Island of New Zealand. The exceptional characteristics of this vineyard are its terroir, location and unique close planting as found in the best sites of Burgundy. Located on the north facing slopes of the Brancott Valley in Marlborough, the Clayvin Vineyard takes its name from the clay based soil profile that lies beneath this special vineyard. Under the passionate ownership of Georg Fromm and I, Clayvin has consistently produced wines that have attracted worldwide attention and acclaim. Our wines have been given extra maturation in Clayvin’s Marlborough Cellars before being released onto the international market. Champagne Guilleminot is a high class Récoltant-Manipulant which means we both grow and bottle our own wines, ensuring great character and individuality. A family-run business, my sister Corinne, brother Patrice and I represent the 4th generation. Champagne Guilleminot’s vines are located in the Aube Valley called the ‘Côte des Bars’, the southern part of Champagne where pinot noir grows beautifully. 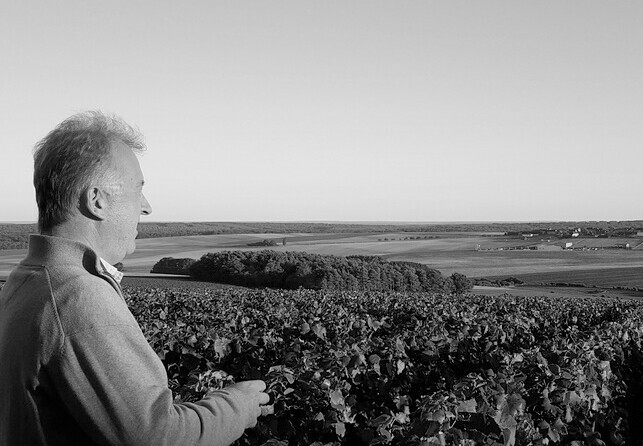 In order to be different from the traditional blend of pinot noir, pinot meunier and chardonnay, my parents Michel and Colette decided to plant their vineyard with pinot noir only and focus therefore on the production of Champagne Blanc de Noirs (100% pinot noir), Guilleminot’s speciality! This is a high quality product which eclipses many of the well known Champagne brands at loftier prices.